Do you know I think the world would end if there was no tea? Maybe I should name that Why I Love Tea So Much. Hello, Sonya Michelle is my name. I’m from Tea Party Girl and I’m bringing you some realiTEAtv today! Tea is a very big part of my world and I’d like to tell you why. How do I love tea? Let me count the ways. Tea is very refreshing and it’s hydrating. So, you feel good when you drink it. I find coffee gives me a really unpleasant feeling in my tummy. It smells great, but by the time I’ve drunk it, I wish I hadn’t. Tea doesn’t do that. Tea actually makes my tummy and body feel fantastic. I’m a great fan of green tea and green tea has been shown scientifically to have many healthy properties, things like keeping our teeth and bones healthy. It’s filled with antioxidants which helps us to fight off “nasties”. And it helps to keep our immune system very healthy. I know I never get sick. And, when my children bring me home those lovely bugs from school, I might feel a touch of it, but it’s gone the next day. It’s not an issue. And drinking tea tastes fantastic. If you’re a bit like me and you’ve grown up knowing tea to be tea bags, that’s not tea. For many years, I thought that was drinking tea. 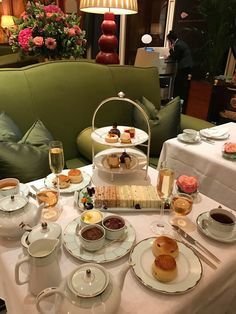 I kind of knew there were teapots and loose tea, but just in our society, where I grew up anyway, we pretty much just had tea bags and that is so not tea. It’s convenient, and it can work, and you can get nice bagged tea. But, really, the variety of loose leaf teas available are just wonderful. The thing I like about the fact that there’s so many different varieties of tea is that you can have a different flavor, a different type of tea at different times of the day depending on what you need, depending on whether you want to fire up and be very invigorated — and that’s not due to caffeine, just feeling refreshed. Or, if you’re feeling a bit sleepy and you want something a bit milky or a bit mellower to just help you go off to sleep, you can have a different tea at different times of the day. I am drinking tea all day. I’d drink it around the clock if I could. The other thing I like is that tea goes so well with food. You can match up a tea with different meals. 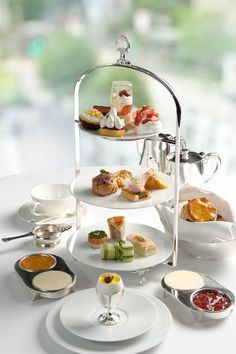 You can enjoy drinking tea with a sweet or with a savory dish. You can have it with a tiny snack or with a major meal. I actually serve green tea with our evening meal. I have three children and they are aged from four through to twelve, and they love the green tea. They look for it, and we comment on it. We talk about the different types of green tea. I had to be a little bit clever when I was introducing it. I serve green tea primarily for our evening meals. I do use a couple of other teas, but mainly mellow green teas. But, I couldn’t have gone in with my Gunpowder Green. That would have put them off for life! But, I was very clever (I think I was!) with the way I introduced it, and they now enjoy drinking tea at dinner time. And I think it’s good for digestion, and it’s a lovely way to share some tea, and to share dinner around the table. Something that’s very popular these days, and I’m really hesitant to go towards the fad-type things, is tea for weight loss. I think tea can help and can assist people to lose weight and to maintain a healthy weight. I don’t like doing anything that’s really extreme because you have to maintain it. It’s not real if it’s not going to last, you know, in the longer term. A little known fact that you may be interested in is that tea can help to break an unhealthy obsession or addiction to alcohol, which could be really powerful and life changing for some people. Tea Accessories Make the Best Gifts for Tea Drinkers! 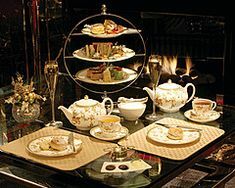 And one of the really lovely things about tea, it has so many gorgeous accessories and equipment to go with it. You can have beautiful teapots and tea cups. You can have feminine ones. You can have funky ones. You can have modern ones and old-fashioned ones. They can match your décor, as you can see my — I’m into red. I have a black and white kitchen and I’m into red. I’m really loving my red teapot that’s on the — we generally use it around the table, not with the, you know, the handle. This is, you know, just a cup. And that’s just lovely. I try not to collect because we have too much stuff in our lives, so I try not to collect. But, I can’t help coming home with teapots every now and again. I probably have more than I need, but I’m sure I have space for more. And there’s also tea platters and china. I love all that kind of thing, and I know there’s a lot of collectors out there who do too. 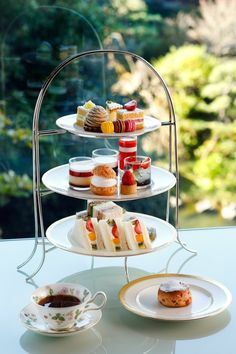 Drinking tea is very connecting. It’s very social, like coffee, so there’s coffee and tea beverages. But, tea you can just keep drinking, and drinking, and drinking, and still feel good. 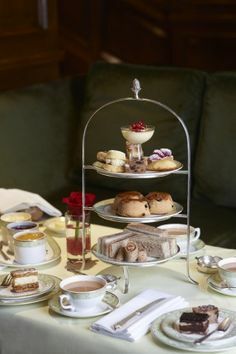 So, tea is something where you can have a tea party. You can have people over for a cup of tea, and you can sit and talk, and make friendships, and solve problems. There’s not really many problems in the world that aren’t so great that we can’t solve them with a cup of tea. Do you know the history of tea is just intriguing? It goes back many hundreds of years, through many different countries, and things went from here to there, and there, and there. And how things came about is just fascinating. 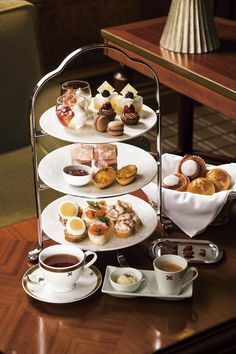 The other thing that’s really important, I think, is tea is a very major part of a lot of the economy for a lot of countries, and employs and sustains a lot of people. In our Western world, I think we’re now starting to have more online shops. There’s more tea blogs and tea educators. But, it’s really been something that’s just been sustained for many, many years. So, that’s a really important part of it, I think, to understand it and make sure things are kept on the straight and narrow there and everybody’s looked after. I just think tea is fascinating. Drinking tea tastes fantastic. It’s a wonderful way of life. And I look forward to sharing some delightful teas with you. Great post. Drinking tea can also be helpful if you are trying to give up soda (as well as alcohol as mentioned above). Yes, I agree that “tea bag” tea is not real tea!! That’s a great point about tea being helpful in assisting to give up soda! When you get away from grocery-store type bagged-tea, there’s a veritable smorgasbord out there of tastes and smells and sensations of tea!